Schrade 24/7 MAGIC Assisted Opening Folding Tactical Pocket Knife | BUDK.com - Knives & Swords At The Lowest Prices! 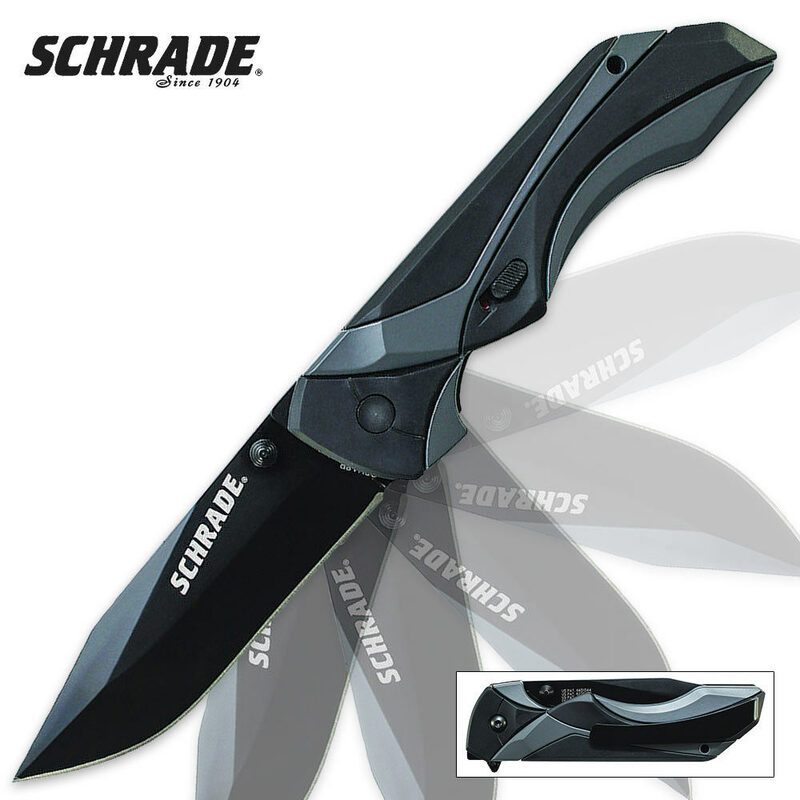 Schrade's 24/7 assisted-opening folding pocket knife is an excellent choice for a tactical everyday carry option. The 3.2" stainless steel blade features a modified clip point, sharp edge and anodized black finish. Dual thumb knobs and a finger actuator provide fast access to the blade, which is powered by the MAGIC assisted-open mechanism. A built-in safety lock prevents accidental deployments and provides for safe carrying and storage. The machined aluminum handle features TPR inserts for a secure, slip-free grip, and also features a pocket clip.